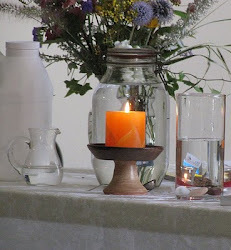 UU A Way Of Life: Today's lesson, number 87, "I will there be light," and "There is no will but God's." Today's lesson, number 87, "I will there be light," and "There is no will but God's." Today's lesson in A Course In Miracles is number 87 which is a review lesson of lessons 73 and 74 which are: "I will there be light," and "There is no will but God's." 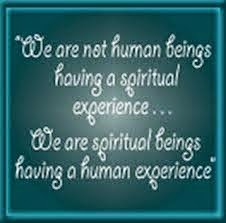 We can walk the path of the ego or the path of the Spirit. The choice is ours. The Course says that we can choose to be in our right mind or our wrong mind. The choice is up to us and today we choose the light. The fourth principle of Unitarian Univeralism says that we covenant together to affirm and promote the free and responsible search for truth and meaning. This fourth principle of Unitarian Univeralism encourages us to will that there be light. We UUs seek light in darkness, goodness in evil, holiness in guilt and shame. If we will that there be light, we also recognize, acknowledge, and accept that there is no will but God's. 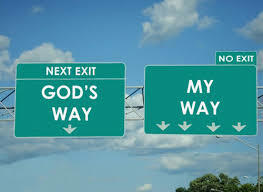 Jesus tells us to pray, "Our Father who art in heaven, hallowed be Thy name. Thy kingdom come, Thy will be done on earth as it is in heaven." This most familiar of Christian prayers is rarely acted upon. People who call themselves "Christians" can be very willful people as all human beings and forget to turn their will over to their Higher Power. In Unitarian Univeralism we understand the idea of the "Higher Power" in many different ways and yet, as Francis David said, "We need not think alike to love alike," and that loving is what God's will for us is that we experience it and, in the experiencing of it, we extend it throughout the world. The affirmation we say in our church every Sunday begins with the phrase, "Love is the doctrine of this church..." It is this recognition and affirmation that involves the understanding that there is no will but God's and ultimately it is to this Love that we belong. Today, I will remind myself several times throughout the day that I choose the light of Unconditional Love and not grievances and resentments and judgments, and that this is my understanding of God's will for me and for all human kind. For a video commentary on this lesson, click here.